Visionaries, wholesalers, real estate investors, and entrepreneurs often have one task they dread and avoid as much as possible—bookkeeping! This is not exactly surprising. At best, bookkeeping can be downright boring. However, the importance of bookkeeping in wholesaling (or any business for that matter) cannot be overstated. For starters, bookkeeping can help you keep track of the key numbers that’s relevant to your business. The knowledge can help ensure you are able to make smarter decisions so you’ll be able to take your business to the next level. 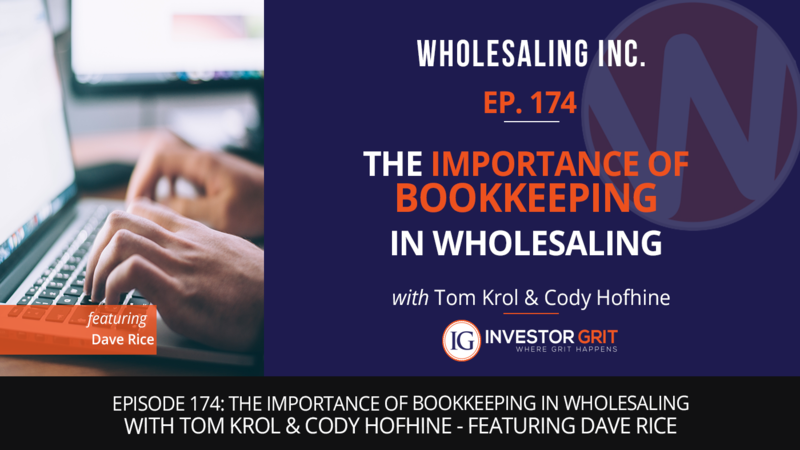 To help you understand the significant role bookkeeping plays in your business, Tom talked to Dave Rice. He offers exceptional bookkeeping services for people in the real estate industry. If you’re still not convinced how important bookkeeping is, today’s discussion will surely change your mind!